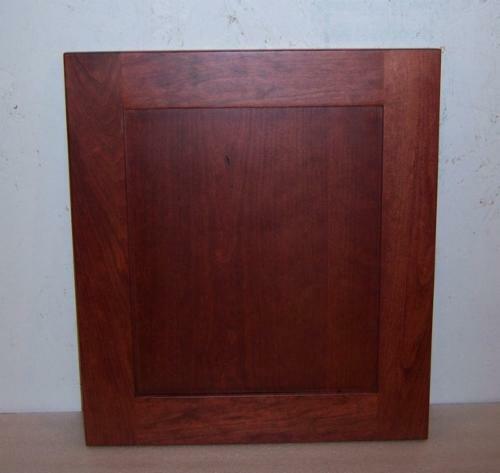 Quality Cabinets at an Affordable Price. Many door styles and woods are possible. 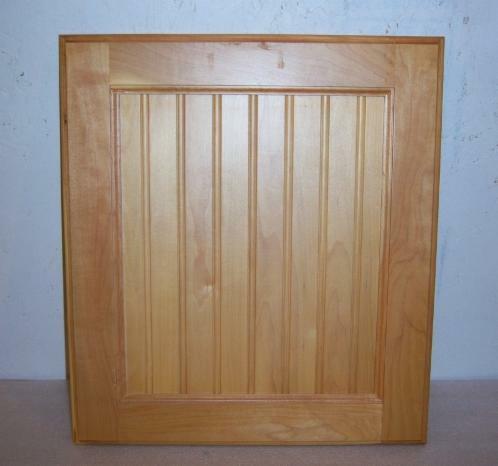 We manufacture our own doors. We will advice you on style. 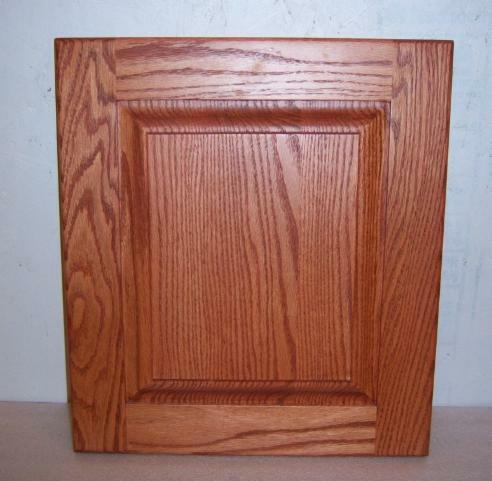 These are examples of door styles & woods with & without stain. Quarter sawn Red Oak. Raised panel, cathedral top. Knotty Alder. 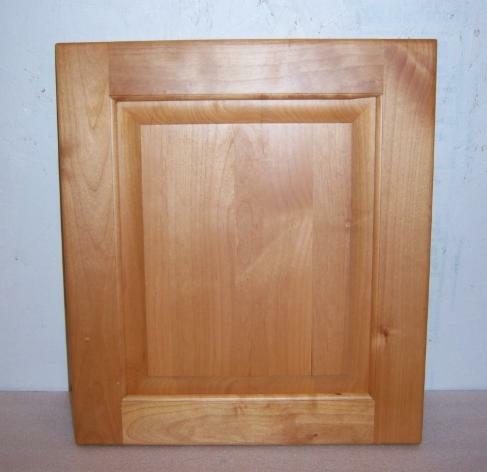 Raised panel, Shaker style frame. Red Oak. Raised panel square. Fancy edge. Minwax, Sedona Red stain. Polyurethane varnish. Hard White Maple. Fancy edge. Beadboard panel. Cherry wood. 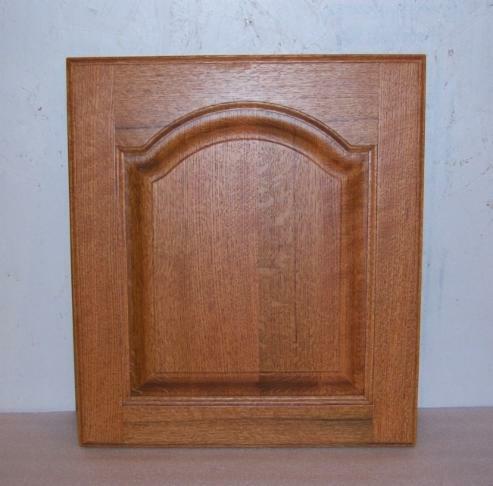 Shaker style with flat panel. They are self closing & 6 way adjustable. 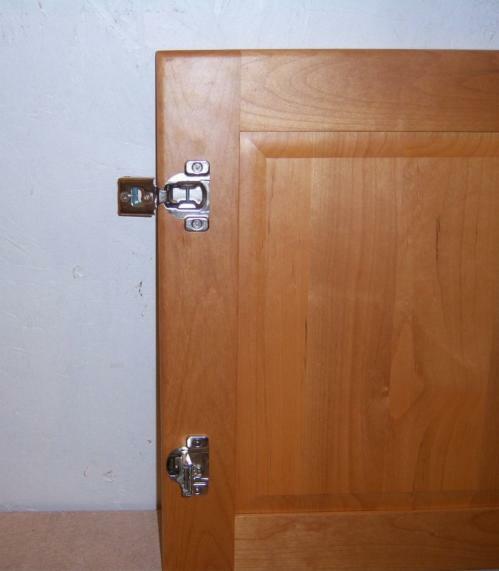 Also available, soft close hinges. These are now standard.